HBO has canceled plans for an upcoming miniseries about the 2016 election from author and former ABC News head Mark Halperin, in the wake of accusations of sexual harassment that came to light against him earlier this week. According to The Hollywood Reporter, the premium cable network pulled plans for the series, based on a still-untitled book from Halperin and frequent collaborator John Heilemann, after multiple women who worked under Halperin at ABC News came forward with allegations against him. Halperin’s last project with the network was Game Change, a 2012 film examining the elements that led to Barack Obama’s victory over John McCain in 2008. Halperin and Heilemann wrote a follow-up book about the 2012 race, and were working on an analysis of last year’s Trump victory when the allegations broke. The women—whose number has now jumped up to seven, with two more coming forward this afternoon—claim that Halperin “propositioned them, cornered them, and pressed his erection against their bodies” when he was their boss at ABC. The women said they didn’t come forward because they didn’t want to damage their careers, and didn’t think they’d be believed. 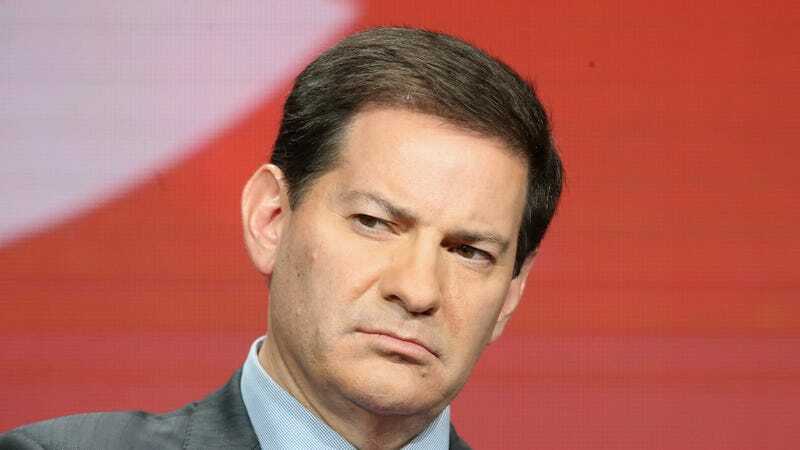 HBO isn’t the only network distancing itself from Halperin; MSNBC already suspended him from his regular commentator spot, and Showtime—which hosts Halperin’s 2016 election docuseries, The Circus—has said it’s also “evaluating its options” in regards to the idea of a third season of the series in light of this new information.